Carson City is Nevada’s capital and is centrally located between Reno, Lake Tahoe, and Virginia City. Below is a brief overview of Carson City, the mint and CC coins. The mint ran from 1870-1885 and 1889-1893, and being the shortest lived mint, produced very few coins and many rarities with the mint mark CC. The city was founded in a place known as Eagle Station. It was during the gold rush days of the mid to late 1800’s that so many people were coming west to find their fame and fortune. Eagle Station was one more trading post on the way, albeit slightly off track, to the gold fields of California. The place had gained its name from a dead eagle displayed over the entrance door to a trading post located here. As the area grew and a town was founded the name Carson City was chosen to honor the famous Kit Carson. The town grew because it was centrally located between Lake Tahoe and Virginia City. Virginia City was growing with the discovery of the Comstock Lode and Lake Tahoe had the timber resources to supply the mines and their operations. Episodes of Bonanza notwithstanding it was something of an arduous trek between the two. In 1859 the discovery of an unprecedented silver vein was discovered in Virginia City. Virginia City boomed with a population swelling to over 20,000 souls. All of those people meant commerce and in the midst of an avalanche of silver the residents of the territory met with a tremendous shortage of coins. The location, nestled snugly in the valley between the Sierra and Virginia ranges made Carson City became a natural place for a new mint. The mint was opened in 1870 and produced dimes, twenty cent pieces, quarters, halves, Seated dollars, Trade dollars, Morgan dollars, five dollar gold pieces, ten dollars gold pieces, and twenty dollar gold pieces while it was open. The mint was shut down in 1885 for political reasons, but was later reopened in 1889 and ran until 1893 when it closed for good. The Carson City mint is still standing and today operates as the Nevada State Museum. The Carson City mint produced coins in such small quantities that today many of them are highly sought after prizes. Carson City dollars are the most popular coins from the mint, but many people collect the other denominations as well. The mint saw many changes in coinage during its short life. Twenty cent pieces came and went, arrows were added to quarters and halves to signify a change in silver value, and the dollar changed design three times! The CC mint produced the following silver coins during its short production life. They made dimes from 1871-1878. All of these dimes are the Seated Liberty style and the rarest are the dimes form 1871-1874. In 1875 the nation began to make 20C pieces to cover the shortage of small coinage. Also minted were twenty cent pieces in the only two years the coins were made for circulation, 1875 and 1876. The 1875 is not too difficult to locate, but the 1876-CC 20C is a classic rarity with most of the mintage having been melted. The quarters were produced in the same style and made from 1870-1878, with none made in 1874. The only common dates are 1876 and 1877. The Seated Liberty CC halves were made from 1870-1878. The rarest being the earliest and the last year of issue. Most people know of the CC Morgan dollars, but fewer know of the Seated Dollars and the Trade Dollars. 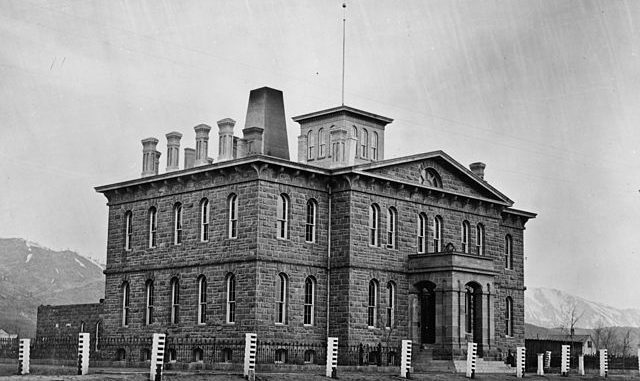 In 1870 the Carson City mint began to produce Seated Liberty dollars. They did so only until 1873 when they began the production of Trade dollars. Trade dollars were produced at Carson City from 1873-1878 before the Morgan dollar took over as the official dollar of the United States. Morgans were made from 1878-1885 and then again from 1889 to 1893. The 1889-CC dollar is the most highly sought after Carson City dollar, but the 1893-CC and 1879-CC are also highly sought after dates. Gold coins were also produced during these years. There are a few CC gold coins that are easily located, but many have extremely small mintages and are scarce. Gold coins are highly prized and sought after by many. The mint produced $5, $10, and $20 denominations in gold. The $5 gold pieces were produced from 1870-1884 and again from 1890-1893. The highest mintage of any of the CC $5’s is the 1892-CC with 82,968 made that year. Many of the $5 gold coins have mintages less than 10,000. Carson City $10 gold pieces were minted from 1870-1884 and again from1890-1893. As with the fives, CC $10 gold coins are rare with many low mintages. The 1891-CC $10 had over 103,000 made, but there are eleven years of minting at Carson City where less than 10,000 pieces were made. CC $20 gold pieces were made from 1870-1879, 1882-1885, and 1889-1893. The rarest CC twenty dollar gold piece is the 1870-CC. $20 gold coins are much easier to locate than the tens and fives, but they are still in short supply. The mint had its highest production of $20 gold coins in 1876 with 138,441 pieces made, a fraction of the 1,597,000 made in San Francisco that year and the 6,256,797 made in Philadelphia in 1904. Carson City gold is rare and desirable. While the mint struck a number of legal tender coins, the total production of gold coins was quite small. Take double eagles for instance, of all the double eagles released by the U.S. Mint, fewer than one-half of one percent were struck at the Carson City mint. Today, $20 Liberty gold coins with the rare “CC” mint mark are far more rare than those struck at other mints.